There are ongoing debates about the pros and cons of different ADR options. When thinking about the claims that are made for any dispute resolution option, do bear in mind who is making the claim, and why. Some of the claims are true, but only in some contexts. Mediation can be much cheaper than taking legal action. However, research published by the government shows that this is not always the case. As you might expect, when mediation ended in a settlement, parties thought it was quicker and cheaper than going to a full court hearing but when the mediation didn’t end in a settlement, they thought it just added time and costs. Some forms of ADR can be quicker than going to court. If you are involved in a small claim in court, for example, your case can go to mediation sooner than a hearing can be arranged. Other forms of ADR, such as ombudsmen investigations, can take a long time. So if the matter needs to be resolved urgently, get advice from an adviser before deciding. For example, you might need to go to court to get an injunction to stop someone doing something, if your safety or home is at risk. Find out what the costs of taking out a court claim would be, then compare these to the ADR options. If you receive certain benefits then you don’t have to pay court fees, and if you are making a small claim then you won’t be asked to pay for the other side’s legal costs. So the cost of going to court could be less than paying for mediation. Many court cases don’t actually go to a hearing but end in a settlement. This is likely to be cheaper than a full court hearing. So a more realistic cost comparison might be between negotiating a settlement directly with the other side and choosing to go to a mediation session. Going to court can risk increasing conflict as the legal system is adversarial and the outcome means there is usually a winner and a loser. Using mediation, where you try to find a mutually acceptable solution, can help preserve and rebuild relationships. This can be especially useful if you have a dispute with your neighbour, your ex-partner, your business partner or your landlord. This doesn’t mean shutting up when you disagree or agreeing with someone when you don’t. It means listening to the other party’s perspective, and them listening to yours, and then between you deciding what is going to happen next. In mediation you are free to make whatever settlement proposals you choose, which can include legal and non-legal matters. Mediation may well be more appropriate than court if what you want is an apology, an explanation, or a change in policy. ADR processes are usually more flexible than the court process. Mediators will usually bring both parties together for a face-to-face discussion but the process can be tailored to the needs of the parties. Text messages and emails can be misread or misinterpreted while face to face communication is less likely to be. Mediation can produce settlements that are mutually acceptable. Mediators encourage people in dispute to have creative discussions about a range of options and will aim for parties to end up with an agreement which reflects the best possible outcome for all involved. This can have an effect on what happens afterwards. Research on family mediation indicates that agreements reached through mediation are more likely to work out in practice, and to last longer, than those imposed by a court. Almost all of the mediated agreements made in small claims cases are complied with – hardly any need enforcement action by bailiffs. This is not true of court orders, which often require the winning party to take action, and pay extra costs, to enforce them. Power imbalances – There may be an imbalance of power between the parties, which could make face-to-face mediation unfair. This could be where there has been violence or the threat of violence; or mediation between parties with drastically different resources or power where the size and resources of the organisation could put the individual at a disadvantage. This doesn’t always mean that mediation is inappropriate, but it’s something to consider. Urgency – There may be an urgent need (for example if you are threatened with being evicted or losing your home) which requires an immediate legal remedy. Reluctant opponent – Mediation is voluntary and requires all parties to be willing to give it a try. Mediation will not be possible if one party is unwilling to mediate. No precedent – If you need to establish a legal point that other people can rely on, you may need to go to court. No ruling on legal rights and entitlements – You cannot get a ruling on your legal rights, including discrimination and human rights, in ADR processes. You can still resolve a dispute about these issues, but you won’t get a judgement about whether or not the law has been broken. Lower compensation amounts – In mediation of small claims cases, settlement amounts tend to be lower than amounts claimed so if you need a significant sum of money in compensation, then you might get a higher award through the court. Binding decisions – Arbitration, and often adjudication, are processes that result in legally binding decisions. This means that you cannot reject the decision if you don’t like it, and you can’t take the claim to court instead. Quality control – There are no consistent quality standards or regulation for ADR providers, so it can be hard to know how to choose a good service. ADR schemes are NOT alternatives to advice. You nearly always need good, informed legal advice before deciding how best to resolve your dispute. This is especially true if there are time limits for taking legal action, as there are in many employment disputes, and if you are using mediation to reach a legally binding settlement. You may need advice as you go along – in family mediation, in particular, it’s worth checking with a solicitor in between meetings to make sure that the outcomes you are discussing are safe and fair. You could also find it helpful to get some advice before deciding whether to accept a solution agreed through mediation or conciliation. Inequalities mediation, for example, accepting a settlement at the mediation means that you can’t take the same dispute to court or tribunal later. When deciding whether or not to try ADR, think about your bargaining position. If you are afraid of violence or intimidation, it may be safer to get a solicitor to try to negotiate on your behalf or to take your case to court for a judge to decide. If you are concerned that the other side won’t do what they promise, you may need to think about using the courts to enforce action. ADR may not be the best solution if you need to rely on a legal precedent from an earlier judgment. 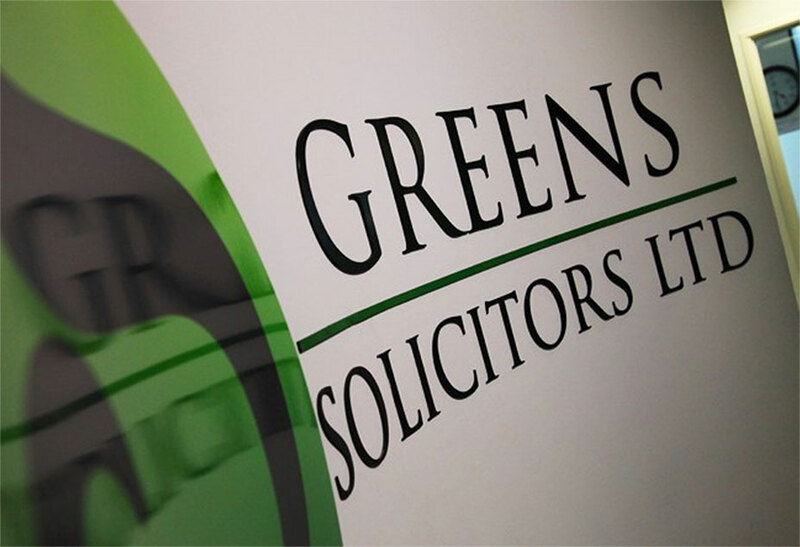 Your case may also be important in setting a precedent for the future, or in making the press and public awareness of bad or illegal actions by large organisations. Think about what kind of process would suit you best. If you’d prefer to tell your story face to face, and have a conversation about the problem with the other side, then mediation may be right for you. If you’d be more comfortable sending in copies of letters and documents for someone independent to make a decision, then perhaps adjudication, arbitration, or an ombudsman scheme would suit you best. If you are unsure that you can explain your concerns and say what you want to have happened, you may be happier to get a legal adviser or a solicitor to negotiate on your behalf. If you want to have a day in court, and for a judge to make a public pronouncement about who is right and who is wrong, then you may want to take legal action.